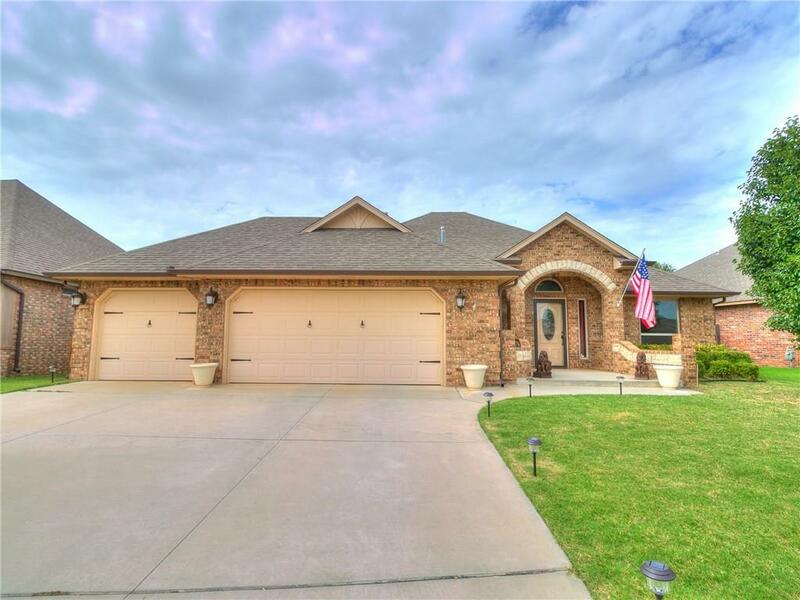 Beautiful and move in ready!! Gorgeous wood tile flooring! Wonderful large open kitchen with granite counter tops, pantry, and stainless steel appliances! Storm shelter in garage! Awesome plantation blinds in the kitchen and dining room! Keyless entry at garage! Never worry about electrical outage during storms -- this home has a built-in 16K Generac whole house generator!! 3 kitchen bar stools and dryer remain with the property! Youâll also love the neighborhood club house,2 pools, walking trails, and a pond!! Any and all information to be verified!